"Forced" to have fiber installed ? 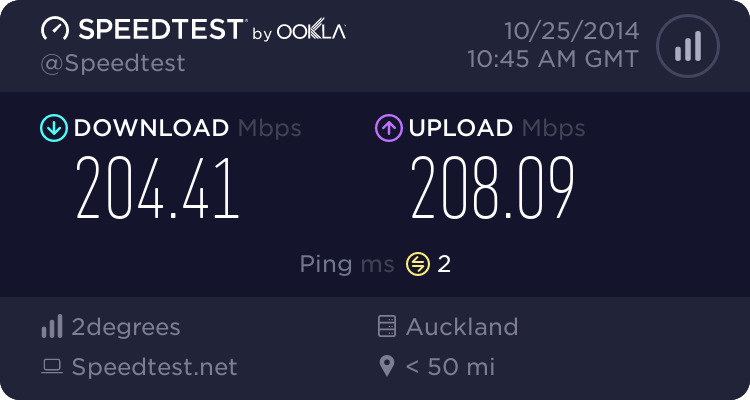 Forums › New Zealand Broadband › "Forced" to have fiber installed ? I know Chorus and co. would like to see the end of copper, but are they allowed to "force" a home owner onto fiber services at this stage ? My FIL had/has copper, never had an issue with it, not interested in the internet etc. Yet one day had someone from Chorus turn up telling him they were going to put in fiber in a few weeks time. He said he wasn't given a choice in the matter - installers turned up last week and installed it (with a reasonably tidy job from what I could see). I guess if 75% of the street had asked for fiber, then could see the reasoning behind getting the rest of the street done, but no reason was given at the time. Just "its happening". Don't know if they can force it but I would not have an issue with a free "improvement" to my house. It comes in handy when selling or renting the place out as a lot of people now check on internet speed when looking. There are some areas where Chorus are installing fibre, even for properties that haven't yet requested it. Does the FIL live in a cross lease or MDU property? Maybe another resident ordered fibre, and the FIL didn't realize the significance of the new consenting rules. In that if you dont say anything, you are deemed to have consented. Maybe the copper cables somewhere between his house and the exchange are in very poor condition. And migrating the last few people from copper to fibre might still be far cheaper than paying to repair / replace those cables. This occurred in Birkdale. And its not cross leased etc. Who says copper is being shut down?? As far as most of us know... at best, the POTS will be discontinued..... people can and will still be able to use copper DSL services.....and phone/voice will be delivered over IP...aka dsl connection. (POTS = Plain Old Telephone System). Aredwood: There are some areas where Chorus are installing fibre, even for properties that haven't yet requested it. Ha I wish they did a force install on me 3 years ago lol and yet I had a 2 and half year back and forth with Chorus before they finally installed in March last year. I wish someone would force fibre on me. Just to clarify, it is certainly not our intention to be forcing anyone to get Fibre or to switch off their copper connection. What we do have happening in Birkdale at the moment is a trial for managed migrations. Through this initiative we hope to improve the Fibre install process by connecting whole streets with Fibre at the same time. It sounds however, like there was some miss communication or miss understanding from the team that’s resulted in this confusion. If you would like to send us a private message with the address, I can pass feedback on to the team. could very well be miscommunication or poor choice of words. not all the field guys are great at expressing in words what they are doing or about to do. my order on 18th of January is still "Delivery Specialist is still further investigating this with the Designer" as of last week's update from FibreInFlightSupport. i will help convince my neighbours! Unfortunately that choice is not mine to make (wistful stare into the distance). On the other hand, I’d be happy to take a look into your Fibre order if you want to PM us your address? No one will force you to have fibre. However post 2020 it is likely Chorus will be able to withdrawal copper in UFB areas subject to a number of conditions and a notice period. The finder details are still being worked out and consulted on. That is likely to include providing everyone with an install at no cost. You could just go mobile/fixed wireelss if you wanted or in say Wellington/Christchurch go/stay with Voadfone cable. However just because you don't want fibre and want to stay in copper is unlikely to be an acceptable reason for it to be retained. I can imagine there will be some kind of independent arbitration process setup for people who are overly difficult about moving off copper and refuse to accept any of the Chorus install methods as one way of avoiding the copper withdrawal . Really? Copper being discontinued next year? I wouldn't believe everything a Vodafone rep tells you, they're hardly renowned (these days, anyway) for getting things right.